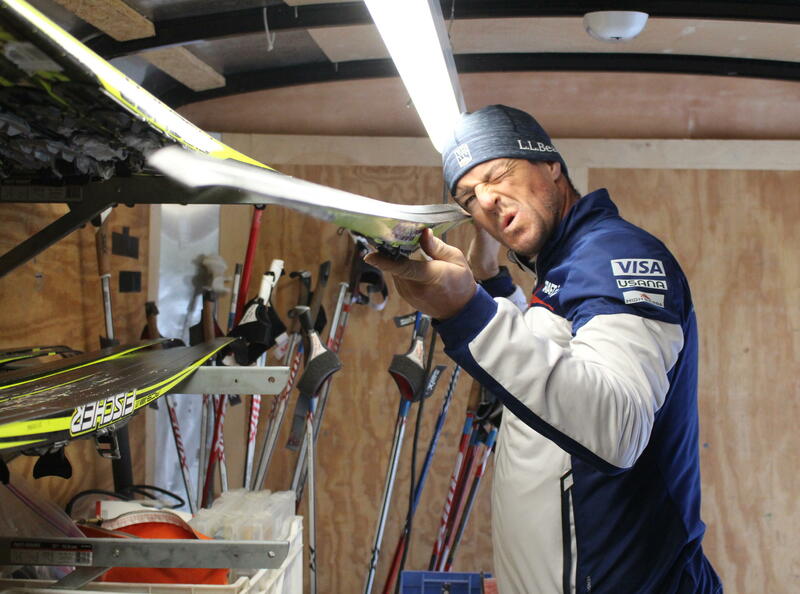 Eli Brown stares down one of his skis in his wax trailer, just off the VASA Trail in Traverse City. Brown will head to South Korea to serve as ski support for Team USA cross-country skiers during the 2018 Winter Olympics. Inside Eli Brown's ski trailer, he keeps an assortment of skis, poles and wax. Eli Brown applies some wax to one of his personal skis with a hot iron. On race days, one of the first things Eli Brown does is go outside and make a snowball. If the snow sticks together, that means there’s humidity in the snow. “Which means you need to use more water phobic waxes,” he explains. 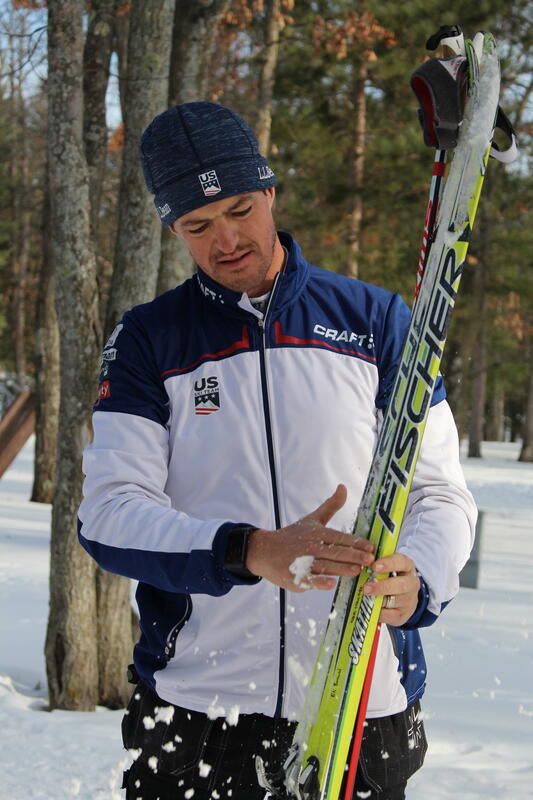 Eli Brown is a ski tech for Team USA’s cross-country ski teams. He helps pick the right kind of wax to use on skis for a given race. Not only do tenths of a second matter, but Brown says the right kind of wax on a pair of skis could shave minutes off a skier’s time. During the winter months, Eli Brown spends much of his time in a cabin just off the VASA Trail in Traverse City. He has a ski trailer parked in the front yard. Inside, he’s got about 20 pairs of skis, an assortment of poles and a bunch of containers filled with different wax. Some wax is hard as a rock, some is soft and some is powdery. 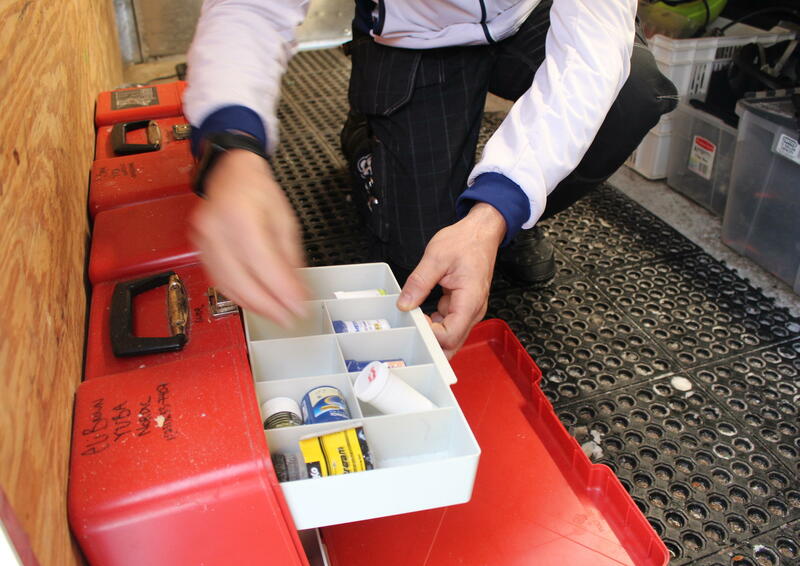 Eli Brown rifles through one of his containers filled with different types of ski wax. After high school, Eli Brown landed a scholarship to ski at Northern Michigan University in Marquette. He went on to race in a couple Olympic trials, but he never made the cut. After years of coaching college skiers, Brown now volunteers as ski support for the U.S. cross-country ski team. Part of that job includes testing different kinds of wax right before a race starts. To help keep track of everything, Eli and the ski support team make brackets, almost like a tournament. The fastest skis advance, the slow ones do not. Since snow conditions change rapidly, it’s important to test the skis as close to the start of the race as possible. Brown says he’s constantly looking at his watch to make sure he’s on schedule. Eli Brown doesn’t make the final decision on what wax to use for that day — that’s up to a more experienced coach to decide. But once the coach does, Brown hustles to bring the right skis to the skiers waiting at the start line. Eli Brown glides across the snow on the Timber Ridge Resort in Traverse City. After the handoff, Brown heads back to the wax trailer to clean up. He listens to the play by play of the race on the radio, and he says that’s when everything sets in. “For the first time, you’re catching your breath and kind of sad that the excitement’s over, but looking forward to the next day,” he says. 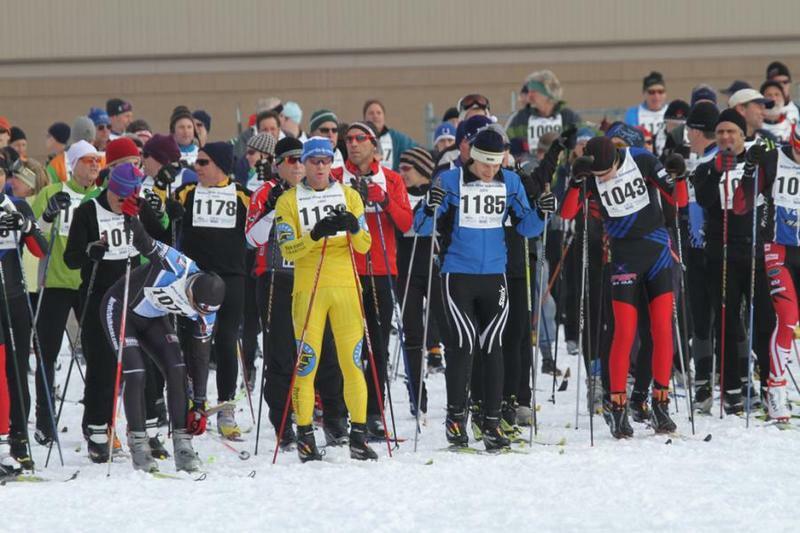 When it comes to cross-country skiing, the United States are big underdogs. In fact the team has only medaled once on the Olympic stage — men’s or women’s. That was back in 1976. Eli Brown always wanted to race in the Olympics, but he says helping others participate is just as meaningful. “We don’t have the resources," Brown says. "We’re this David and Goliath type of thing, compared to Norway." Despite being outspent by other countries, the U.S. women’s team especially has had some recent success at the World Championships. Brown thinks this could finally be the Olympics where they get back on the podium again. “The gold is going to be very elusive, but the bronze might be in reach,” he says. When he’s watching TV, sometimes Eli Brown sees a commercial for the upcoming Winter Olympics. And that gets him pumped up. 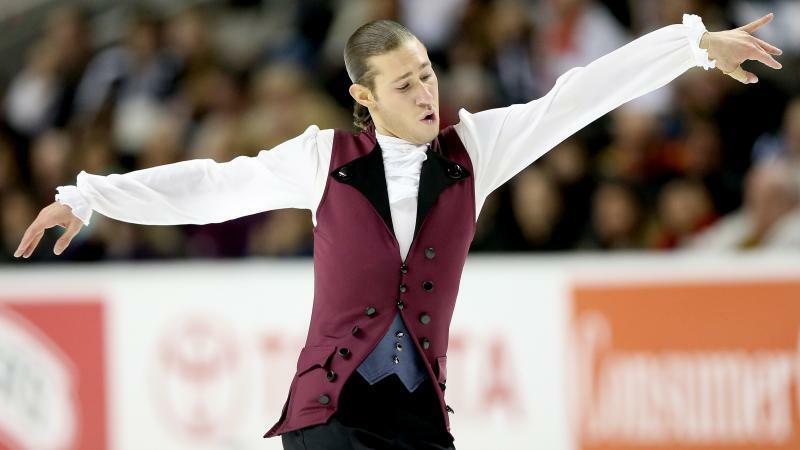 On February 9th, Eli Brown will walk with the rest of Team USA during the opening ceremonies in South Korea — his Olympic dreams finally realized. 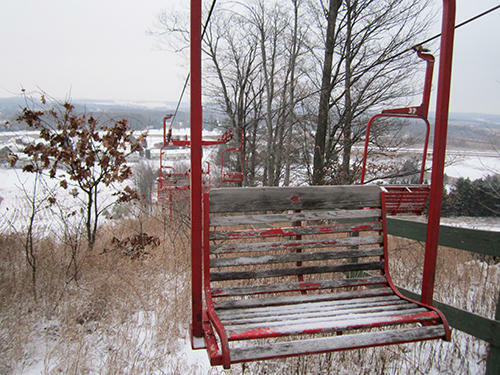 The owner of Sugar Loaf on the Leelanau Peninsula says it will eventually reopen as a four-star, year-round resort. The former ski resort would have fine dining, a spa, vineyards and in-house wine among other amenities. Jeff Katofsky bought the property last year. He told people at a public meeting today that he has not made a decision yet about downhill skiing at the resort. He says the ski equipment on site is unusable and beyond repair.